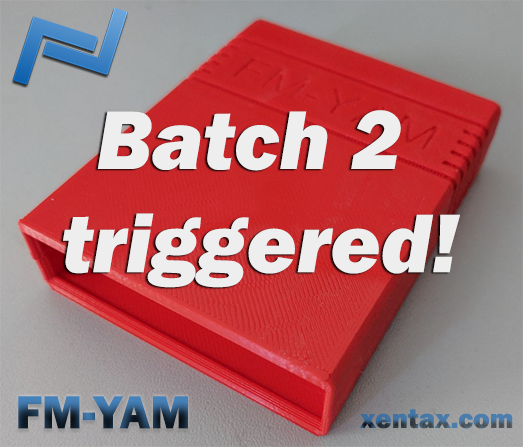 A little belated message here on the front page, but on July 25th I shipped Batch 2 of FM-YAM to their new owners! 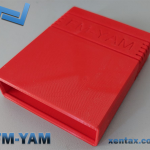 If you don’t know what an FM-YAM is, it is a sound expansion for the Commodore 64 that will add the OPL2 audio chip (YM3812) via the expansion port. Read more about it at our dedicated page here! To date more than 200 cartridges have been sold! Still want one? There’s a few left. Reserve one at this link. Batch 2 of FM-YAM in production! Awesome news! Within less than one week we got enough paid reservations to start the production of a second batch of 120 FM-YAM units! The parts have been ordered! Of course, there will need to be a cap on the number of reservations that can be done to 100 first. We never know if all parts will work as expected and have to account for some faulty ones. But I am exited we can move ahead and to the second batch ! FM-YAM Shipped on March 16th! The first batch of 100(!) 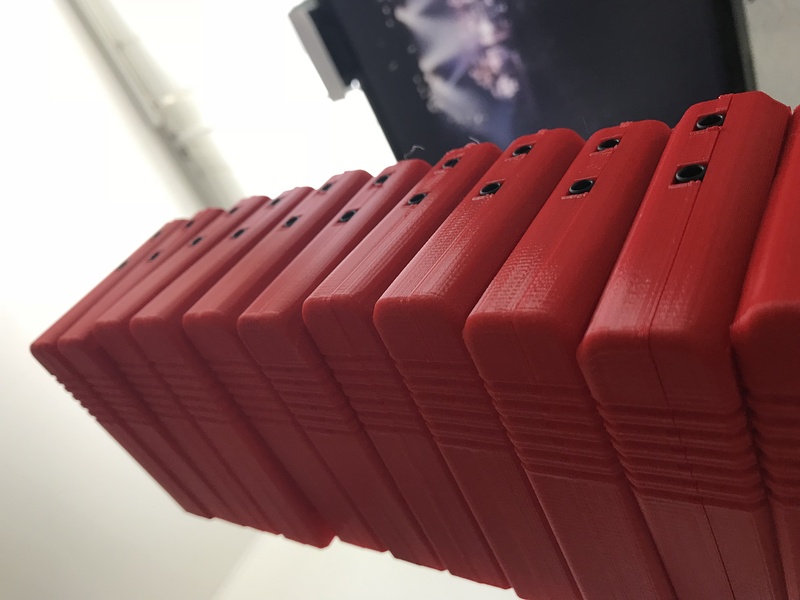 FM-YAM units shipped on the 16th of March 2018! A historical milestone! There are 20 more in an extended batch, of which only 10 are left. Those 10 people that reserved one in the range of reservation numbers 122 – 131 are in luck and got an email to purchase one of the last 10! 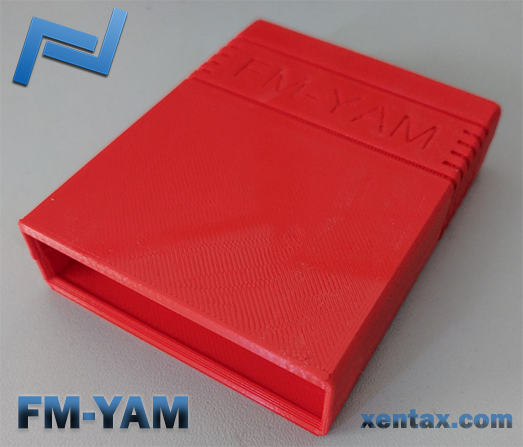 FM-YAM almost ready to ship! FM-YAM units are assembled the coming weeks and then ready for shipment! 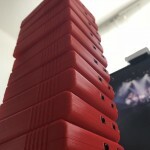 We changed the colour of the 3D printed cartridge cases to red, which is a lovely colour. So, FM-YAM is still set for a Q1 2018 release! Also, you can still reserve a unit, if I get sufficient reservations, I think I’ll do a second batch. 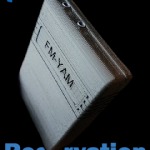 FM-YAM reservations hit manufacturing threshold! 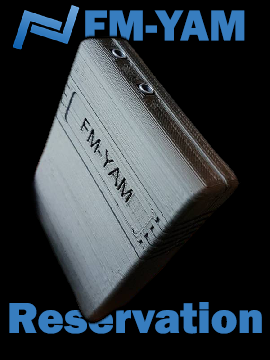 Over the course of just 1 week we’ve passed 100 reservations of FM-YAM! This is great news! The next step is the manufacturing of the units. If you reserved a unit, you will be receiving a payment notification as soon as it is ready to ship. FM-YAM update! Reservations are now open ! Manufacturing of the first batch of 100 units will commence once we hit enough interest in the community. Please visit this page to reserve a unit today! Hi everyone! 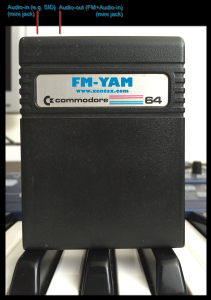 Just a small announcement of our latest project, an FM music cartridge for the Commodore 64. If you wish to read up on it, please visit this dedicated page. You are currently browsing the archives for the FM-YAM category.